NEXT | What's going to replace Artifacts? This is the last week of the For Azeroth! event in Heroes of the Storm, so if you WoW players have yet to nab the Primal Flamesaber mount, this is your last chance. All you need to do is complete — not necessarily win — 15 matches with a friend while playing a Warcraft hero. You can do this versus AI on any difficulty, so while it takes some time, it’s not very difficult. There’s a good batch of Warcraft characters on rotation this week to choose from, so get in the Nexus and grab your Flamesaber before it’s gone! But for Heroes players, the exciting news of the week is the game’s next hero, the Specialist Probius. 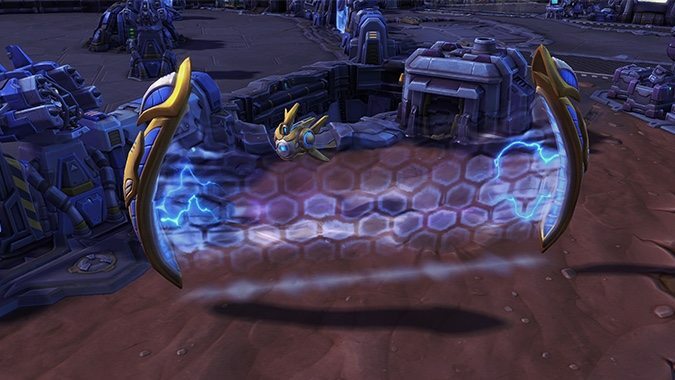 This Protoss probe is a rather unlikely hero, but fits neatly into the silliness of the Nexus. He seems like he could have a high skill cap, because properly positioning his pylons is a must, and his Disruption Pulse (Q) and Warp Rift (W) skills must be paired (and also properly positioned) for maximum damage. The PTR is live now with Probius plus a host of other changes. There are big reworks for Anub’arak, Arthas, Cho, Gall, and Gazlowe, plus UI changes and a UI rework. Check out the full list of changes in the patch notes, or hop on the PTR to check it out yourself.